aegif Labo Blog: Eating spaghetti: Spoon or not? To help your fork twirl spaghetti, do you use a spoon? I had always been told that using a spoon is bad manner, and that Italian people would never do it. I recently discovered that my Italian friend, on the opposite, thought that only the French did not use a spoon. I decided to do some research, and posted a questionnaire to Reddit SampleSize. 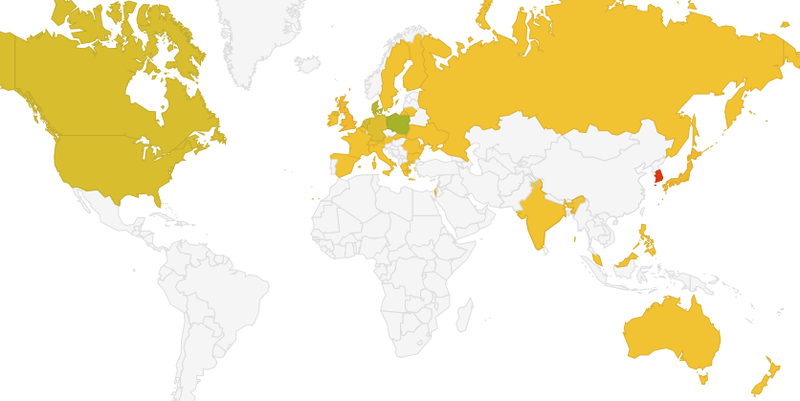 300 persons participated (you too, feel free to fill the questionnaire right now! 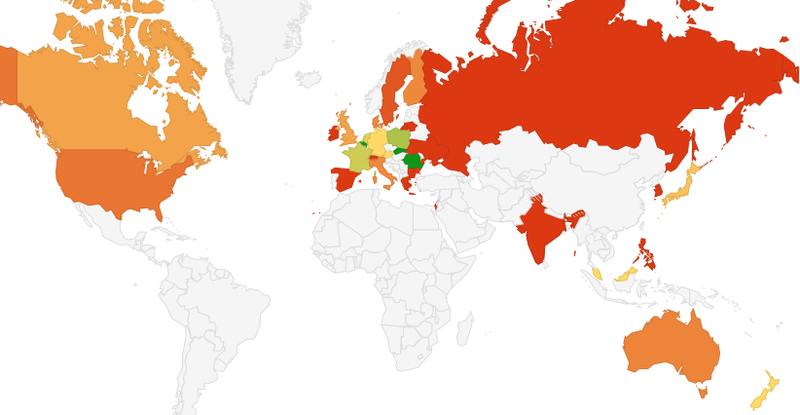 ), which makes it the largest spaghetti—spoon research ever published! 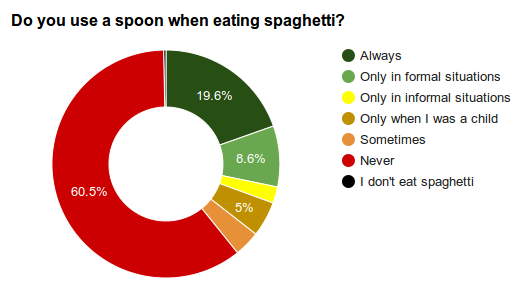 62% of the respondents have never used a spoon when eating spaghetti, while 17% ALWAYS use a spoon. What if your neighbour uses a spoon? 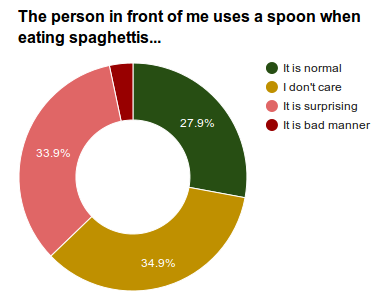 - 9% use a spoon only in FORMAL situations! A fine Finn respondent concludes this way: "[Using a spoon] is the proper way, although knife and fork is considered normal around here." You read it right. "Knife". That might be the topic of my next article. I have made the raw data available, public domain.